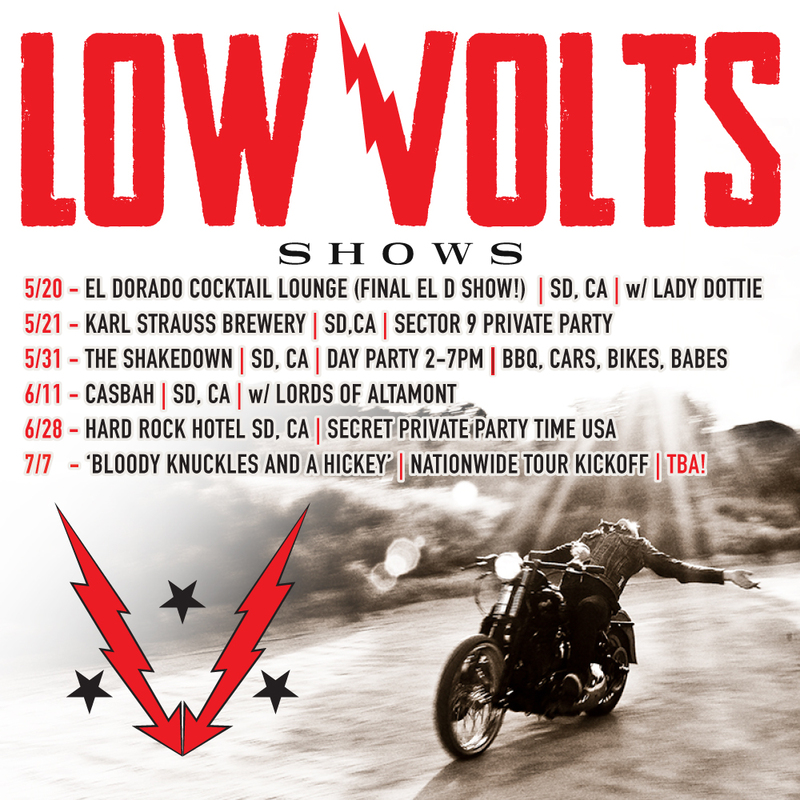 Last few San Diego shows before Low Volts 'Bloody Knuckles and a Hickey' nationwide tour! Just a small handful of San Diego shows left until the Low Volts 'Bloody Knuckles and a Hickey Nationwide Tour' dates are announced! Come say bon voyage before Low Volts embarks on a 7000 mile+ tour from the west coast to the east coast and back! July through August tour dates announced SOOON.